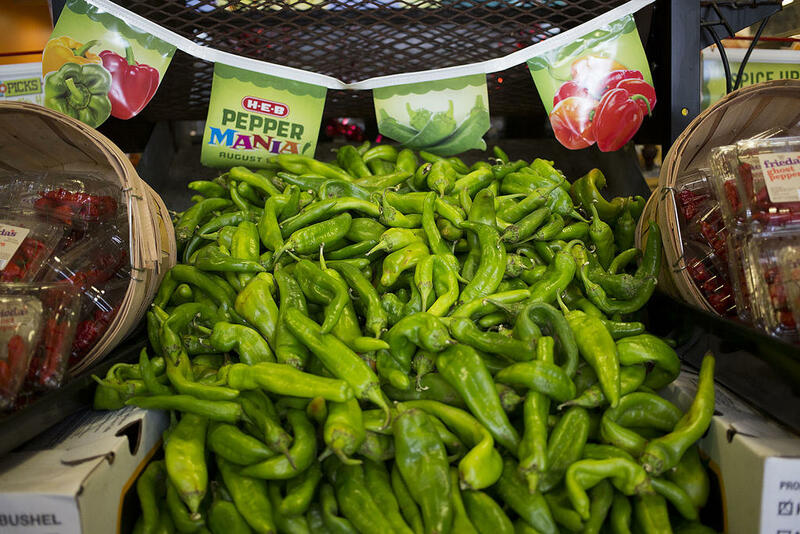 Every year, grocery stores' marketing campaigns celebrate the Hatch chile pepper, but why? Central Market’s annual Hatch chile festival, Hatch-A-Palooza, is over for the year. But you can still get Hatch chiles pretty much in every Austin grocery store. Did you ever wonder why grocery stores get so excited about Hatch chiles? "It’s the Shark Week of organic grocery stores." It got worse when we tried to buy sausage, too. 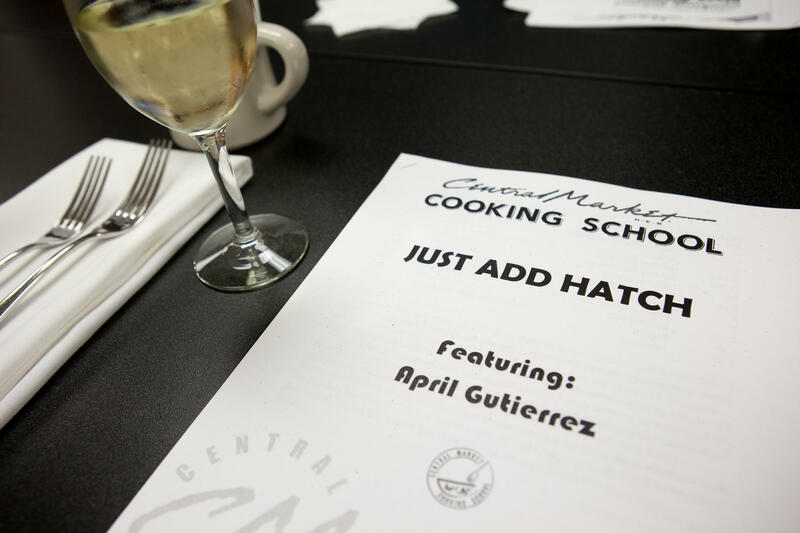 A book of recipes from a Hatch chile-themed cooking class at Central Market. Hatch chiles are grown in the Hatch Valley in New Mexico. They aren’t native to the region—they were introduced there sometime in the early 20th century. They get their name from the small village of Hatch, a town that’s is already well known for its own Hatch Chile Festival in September. But Dave Lucero, a director of marketing and development at the New Mexico Department of Agriculture, wanted to spread the Hatch chile beyond the borders of the Land of Enchantment. About 15 years ago, Lucero and his team pitched supermarkets in Texas the idea of selling fresh chiles and marketing the entire Hatch chile season. Lucero says Central Market was the first store to jump on the idea. Lucero says the department spent time with customers, too, showing them how they could put the peppers in different foods. A few years later, H-E-B started promoting Hatch chiles. Whole Foods also celebrates the season. Go ahead and read that again: There is no such thing as a Hatch chile. There are varieties of green chiles – Sandia and Big Jim, for example – but DeWitt says there’s no difference between a Hatch chile and another green chile pepper, like an Anaheim pepper, except for where it’s grown. That hasn’t stopped supermarkets or the New Mexico Department of Agriculture from hyping the Hatch chile as a seasonal pepper. Last Tuesday night, about 10 people stood around a large kitchen at Central Market on North Lamar. They were there for cooking lessons. The name of the class: Just Add Hatch. 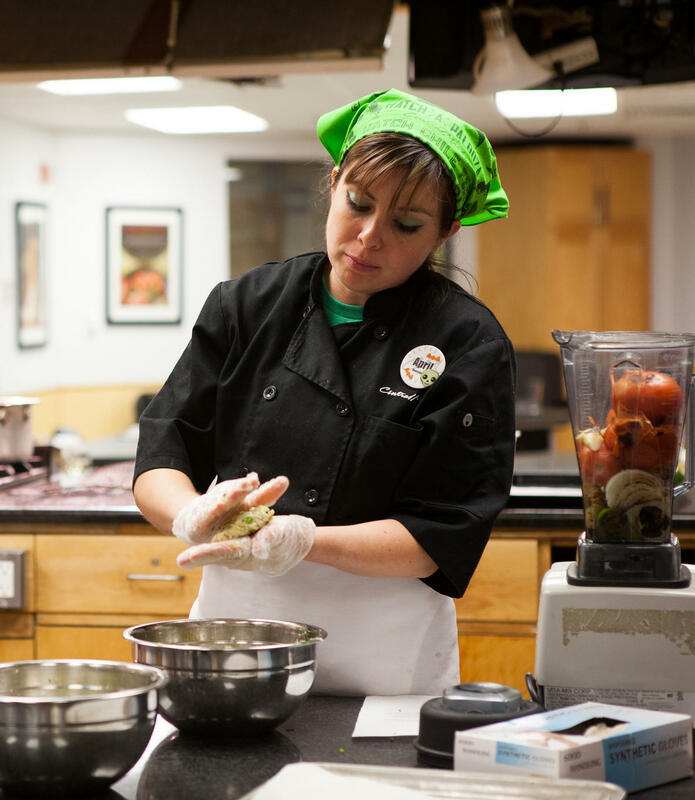 “We’re cooking Hatch crab cakes with remoulade, pork and Hatch tacos, broccoli and Hatch crisp and pineapple and Hatch ice cream,” said instructor April Gutierrez. Gutierrez started off the class like DeWitt says he did. Chef April Gutierrez shapes a hatch crab cake in a Hatch chile pepper-themed cooking class at Central Market on August 16, 2016. When asked if she could taste a difference between a regular Anaheim pepper and a Hatch pepper, Gutierrez shook her head no. So, here we are. Eating a pepper pushed by another state’s government. A pepper that tastes no different than any other green chile pepper. I knew it was time to bring in some experts: KUT’s Audrey McGlinchy, Mose Buchele and Jimmy Maas. It turns out, the indecision was appropriate: both of the raw chiles were Hatch chiles. But this doesn’t answer Michael’s original question: whether H-E-B owns some kind of chile futures or whether they have land in New Mexico – whether they have skin in the chile game. I posed the question to Meredith Beeman, with Central Market’s cooking school. “You are talking above my pay grade, I have no knowledge of anything like that,” she said. Certainly a valid question! The Hatch Celebration has become kind of an institution. Everyone loves hatch! It’s popular and Central Market shoppers wait for it every year. The peppers grown in the Hatch Valley have a short season. But the green chile pepper does not. You can probably find them in the store long after Hatch season is over. But good luck finding a Hatch chile-flavored beer. Is Austin Really Still Keeping It Weird? This story is part of our ATXplained project, which answers questions from our audience. In this edition, we tackle a question from Nisha Bagepalli: "Where did the phrase 'Keep Austin Weird' come from? And is Austin REALLY all that weird anymore?" "Would you like to have a little Coke?" asks Kathy Bell Hargrave, cracking open a can of soda in her daughter's kitchen. Some things we do in life without giving a second thought, but when we stop to think about them we realize they raise a lot of questions. “Every can that I open, every piece of paper, everything I want to recycle it,” says Bell Hargrave. “I put it all in a giant blue bin, but what happens to it? I don’t know."